Almost the entire body of this router is wrapped with a plain white color. Besides wrapped with white color, lack of ports and buttons add to the impression is also simple. With dimensions only of 144.7 mm x 94.7 mm x 25 mm, this router comes with a tiny body. N302R TOTOLINK Plus only comes with a five-port RJ-45 and one button WPS. Not only as a WPS button, the button also serves as a reset button to restore the router configuration. Four of the five RJ-45 ports available on the router is used to connect LANs. While the rest is used for the WAN connection. To extend the reach of the signal, the router is equipped with three external antennas powered 5dBi. Unfortunately, the external antenna is embedded in the right side of the router can not be removed. Even so, the third antenna can be rotated as you needed. To remove heat generated at the time of the router works, TOTOLINK N302R Plus uses a perforated surface on the bottom side. 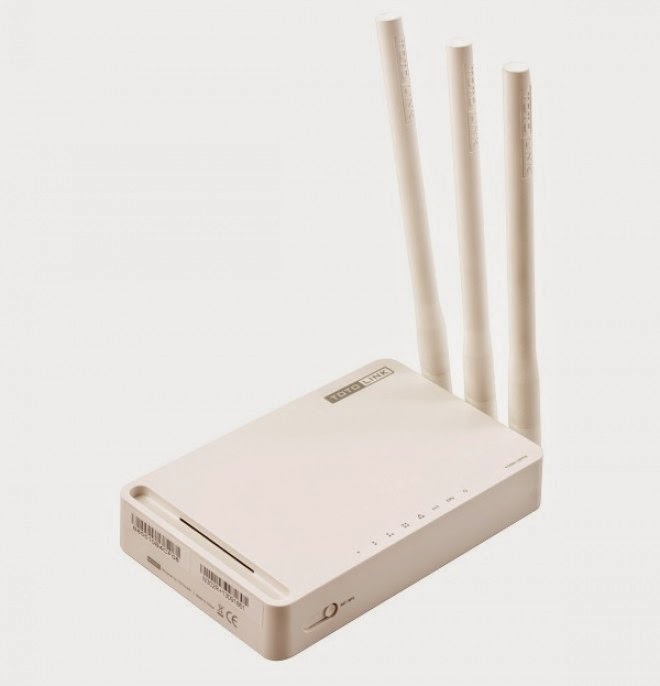 Although not using the latest wireless standard, with only the 802.11n standard, TOTOLINK N302R Plus can be used to share files, perform streaming video, or playing online games smoothly. 802.11n standard itself has a speed of up to 300 Mbps using the 2.4 GHz frequency. Slightly different from the other routers, TOTOLINK N302R Plus provides two menu setup wizard when you access the control panel. The menu is the Internet Wizard and Wireless Wizard. Internet Wizard will help you to configure the router to connect to the Internet. While the Wireless Wizard will guide you to mengonfiigurasikan SSID and also find the best channel for the transmission of the Wi-Fi signal. For more detailed configuration, the control panel also found Setup Tool.